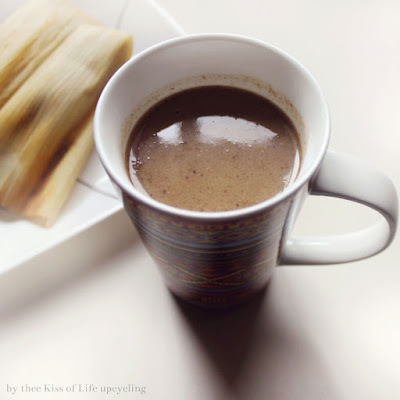 To pair with my mom's authentic Mexican tamales recipe, I have here her recipe for Mexican Atole. Atole is a hot cornflour drink that usually accompanies tamales. Some people may call this champurrado as opposed to atole but in my opinion champurrado is really just chocolate flavored atole. 1. 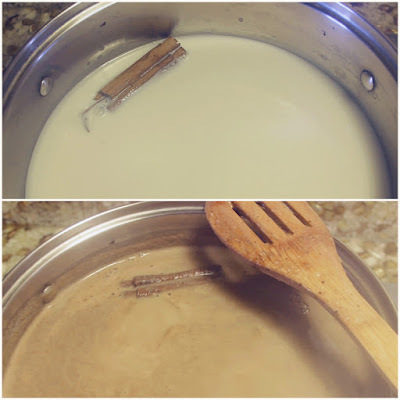 Simmer milk, water and the cinnamon stick together. Add piloncillo and stir until completely dissolved. 2. Mix 1 cup of water with the 1/2 cup of corn flour. You can sieve this little mixture into the milk mixture for a smoother blend. 3. Let the mixture come to a boil so it all thickens and then simmer for 15 minutes. All done, enjoy with your tamales!